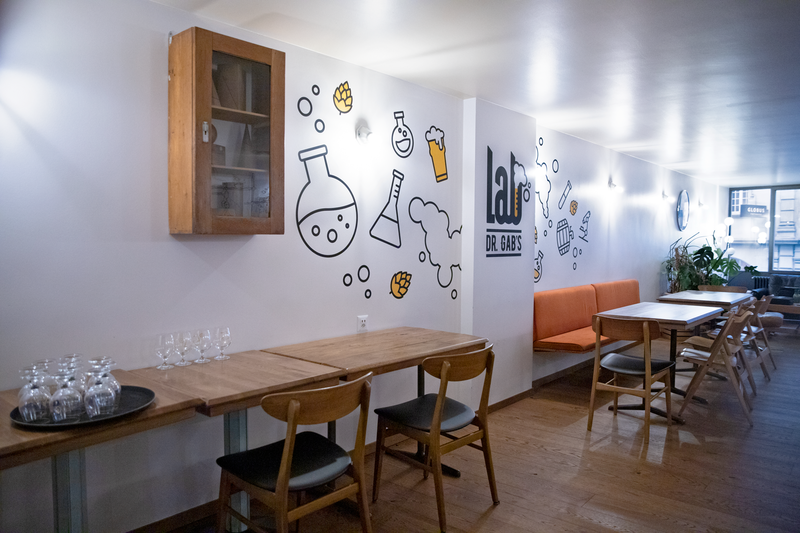 Opened in December 2018, the Lab is the new taproom of Dr. Gab’s brewery. Located on rue de Bourg in Lausanne, it is a place where beer lovers can taste the entire Dr. Gab's range as well as limited editions and other crazy hopped experiences. 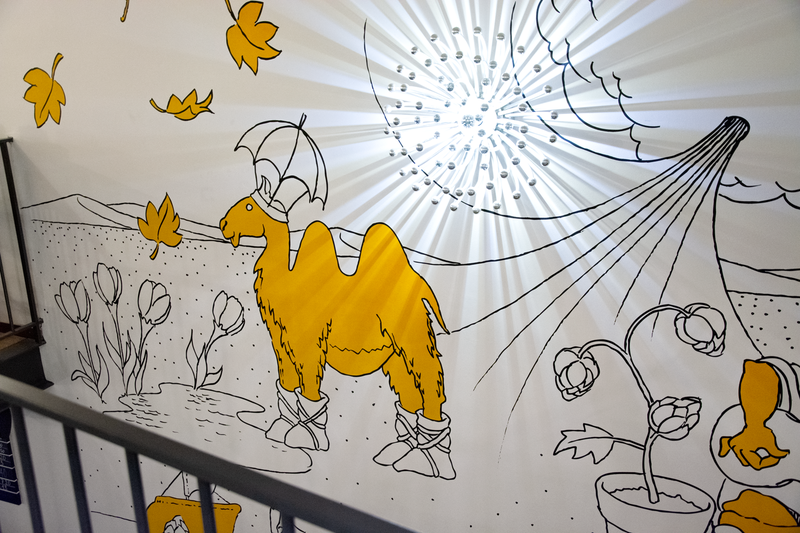 Dr. Gab's asked Creatives for support to customize the place. 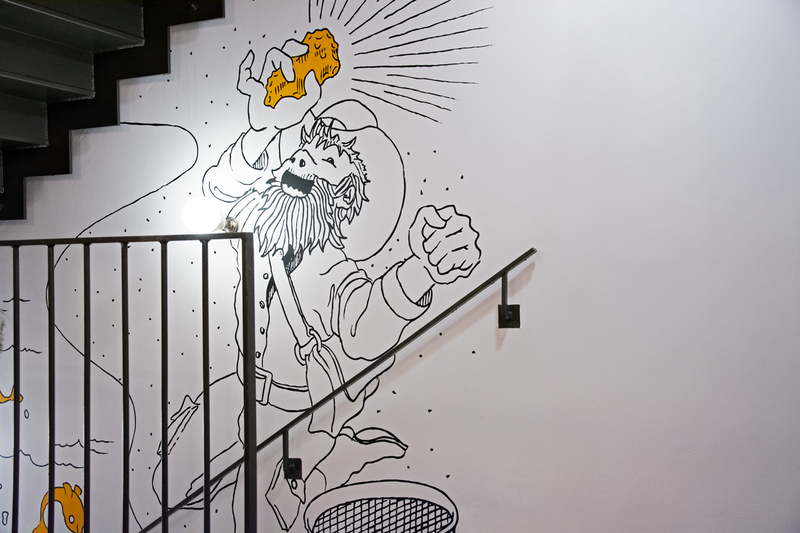 In collaboration with Emy Amstein, we therefore designed various murals mixing both the Lab and Dr. Gab’s identities.These illustrations depict the brand’s three main cornerstones: aperitif, friendly times and expertise. So visit the Lab to discover our work and enjoy a good beer!